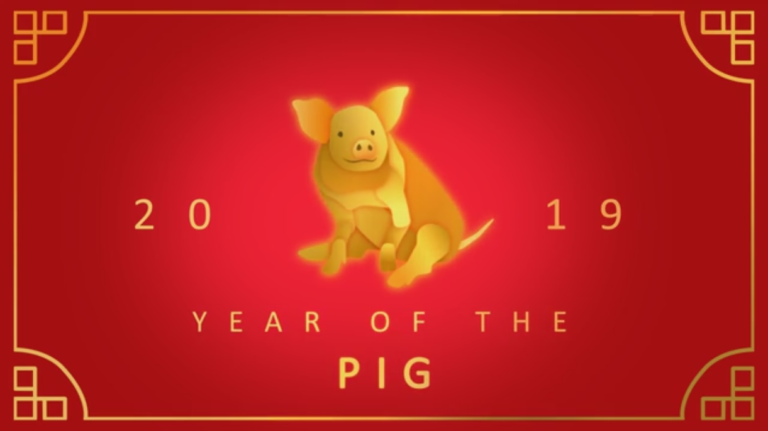 According to Chinese calendar, from February 05, 2019 to January 24, 2020 is Year of the Pig. In career, you people under the Ox sign will fully demonstrate prestige and power, and if you are in leadership, you will manage very well. For ordinary workers, you will have the opportunity to show leadership and get promoted. 2019 will be quite good for you engaged in armed forces, such as frontier defense, police and fire fighting. If you are in the startup, transition or stagnation period of career, you may encounter a lot of emergencies, such as cash flow dilemma, loss of core personnel and crackdown of competitor, so make an emergency plan and develop the ability to respond to PR crisis. If your career is on the rise, take the hands-on approach to the company affairs and follow up step by step to avoid the defeat on the verge of victory. To improve your career luck in the Pig year, you are suggested to wear a Lapis Lazuli bracelet with ox sign. 'Gui Shen', in charge of luck with the benefactor, will bring you good luck for career and you will be promoted and assisted by professionals. 'Guo Yin', in charge of power and helm, suggests you will be in power and get promoted. With the great help from another two auspicious stars 'Fu Xing' and 'Fu De', you Tigers, especially males, will make a difference in career. However, you just cannot get rid of the influence of damaging Tai Sui and several inauspicious stars and might be fed up with the current workplace and want to change a job. If so, you are suggested to change in September or October, during which you will find a better job. Under the great influence of Tai Sui's evil spirits and 'Juan She', your interpersonal relationship will be complicated and you will be prone to disputes, so speak and act cautiously in workplace. If you can cooperate with those under the Pig sign, you will work more easily. To improve your career fortune and work smoothly in 2019, you are suggested to wear a Lapis Lazuli bracelet with Tiger sign pendant. Blessed by 'San Tai' and 'Jiang Xing' good for career, you Rabbits, especially those in leadership, will have wider space for career development and a brighter future, and see the raise of power and salary. Do not ignore the details at work because you may make mistakes in a hurry under the adverse impact of inauspicious stars. Being compatible with Tai Sui means many good opportunities for cooperation, and you should keep an eye on those under the animal signs of Pig and Sheep who can bring you opportunities for career. Affected by 'Wu Gui', you will have a complex relationship in workplace and be envied by others - just do your job well and keep a low profile to dissolve the bad luck. 'Mo Yue' will make it hard for you to adapt to new environment and get along with new colleagues, so you'd better think twice if you want to change a job. To improve your career fortune and work smoothly in 2019, you are suggested to wear a Lapis Lazuli bracelet with Rabbit sign pendant. On the whole, you Dragon people will have good luck for career and get promoted under the blessing of auspicious stars 'Long De' and 'Yue De'. Benefactor means those who can give you help and bring you good luck. No matter what kind of work you are engaged in, you will absorb the energy of those stars, which are benefactor for you, to expand contacts and create new opportunities for cooperation. For you wage earners, the good performance will make you get promoted yet lead to a lot of pressure; affected by 'Ban An' in charge of changes, you may want to change a job. For you Dragons in leadership, 2019 will be a good year for you to build image and get promoted. Suppressed by 'Zhu Que' which is a star of vile characters, you will be framed up by villains and should keep a low key to avoid any jealousy and damage to your achievement or image. To improve your career fortune and work smoothly in 2019, you are suggested to wear a Lapis Lazuli bracelet with Dragon sign pendant. During the year of conflict with Tai Sui, you Snake people will be often frustrated in work and surrounded by vile characters, thus fail to carry out the work as expected. Also, you will have worse interpersonal relationship, get no support at work, often offend bigwigs or lose important customers and encounter obstacles everywhere. Under the charge of 'Pi Tou' which means disheveled hair and poor image, you should watch out those with concealed intentions who may destroy the company image and drag down the performance. For Snakes engaged in performing arts, you should be more careful and avoid being photographed by paparazzi who will besmirch your image and cause gossips. For wage-earners, you should keep a low profile, be prudent and mind your own business, or you will bring trouble on yourself. 'Yi Ma' implies a favorable turn in career and you may have more chances to study or investigate, learn new things and reach out new fields. To improve your career fortune and work smoothly in 2019, you are suggested to wear a Lapis Lazuli bracelet with Snake sign pendant. Jointly assisted by 'Zi Wei', 'Long De' and 'Lu Xun', you will find everything go well at work and turn ill luck into good whenever you are in trouble, ushering in an anticipated prospect. 'Lu Xun' in charge of fame and fortune means you will get promotion and salary raise. Under the blessing of auspicious stars, you can take the initiative to improve interpersonal relationship and expand contacts, which will benefit your career, even bring you new opportunities for cooperation. However, 'Xiao Hao' will make you prone to lawsuit and dispute, and you may offend others in workplace due to improper words; though 'Di Jie' can help you turn calamities into blessings, you still need to change your way of communication to avoid unnecessary troubles. To improve your career fortune and work smoothly in 2019, you are suggested to wear a Lapis Lazuli bracelet with Horse sign pendant. Mainly supported by 'Fu Xing' and 'Hua Gai' in charge of fame and power, you will make great progress in career. In addition, 'Sui He' will further improve your luck and popularity with the masses, which will benefit you government officials and bring you a successful career. 'Hua Gai' will bring a steady flow of inspirations, which will be good for Sheep engaged in creative work, such as advertising, music and writing, and help you create great works and scale new heights in career. In a word, this year will be a good year for Sheep to develop career. Under the adverse impact of 'Guan Fu' and 'Wu Gui', you may encounter lawsuit or dispute, so handle the workplace relationships properly and learn more legal knowledge to avoid the illegal trade out of ignorance. To improve your career fortune and work smoothly in 2019, you are suggested to wear a Lapis Lazuli bracelet with Sheep sign pendant. Blessed by three auspicious stars, namely 'Tai Yin' (太阴), 'Tian Chu' (天厨) and 'Tian De' (天德), you will have good luck in career. 'Tai Yin' means you will get help from women and work more easily. 'Tian Chu' which symbolizes food and salary is good for Monkeys engaged in food related industries, such as chef, food inspector and dietician. Unfortunately, the impact of several inauspicious stars and harming Tai Sui will cause fetters to your career and make you rush about. Also, you will be prone to lawsuits and disputes. Therefore, the year won't be a good time for promotion and you should stick to your post and do your duty well. To improve your career fortune and work smoothly in 2019, you are suggested to wear a Lapis Lazuli bracelet with Monkey sign pendant. Blessed by the auspicious star 'Wen Chang', you will have better learning ability and comprehension and may take the opportunity to engage in advanced study and training, and then use the skills in work to improve your career. For senior executives, the star will make you quick-witted and manage the business in good order. Under the impact of 'Diao Ke' and 'Tian Gou', you should be prudent in staffing and supervise the recruitment to refuse those with loose moral and bad conduct; otherwise, your career will be troubled and dragged. If you are working for others, you may draw attention of your boss and get the chance for salary raise and promotion by showing personal skills and improving work efficiency. To improve your career fortune and work smoothly in 2019, you are suggested to wear a Lapis Lazuli bracelet with Rooster/Chicken sign pendant. As for career, you civil servants will have consistent luck in getting promotions; for job hunters, you will get a decent job through your own efforts or the recommendation of others; for Dogs starting a business, you will succeed easily with the help from others while for wage earners, you will be assisted by others and recognized by your superior, and get promotion and salary raise as long as you are down-to-earth. Meanwhile, the inauspicious stars will impact your interpersonal relationship and you might be framed up by vile characters. Though 'Tian Kong' brings artistic imagination good for creation, it also makes you reap the profits and indulge in wishful thinking; you'd better do everything by yourself. To improve your career fortune and work smoothly in 2019, you are suggested to wear a Lapis Lazuli bracelet with Dog sign pendant. Blessed by 'Sui Jia' and 'Tian Jie' good for career development, you Pigs will get more chances to perform and defuse the crisis with the help from others. Since the positive energy of auspicious stars will be weakened by the impact of clash with Tai Sui, you Pig people tend to have extreme ideas, experience mood swings and face challenges in interpersonal relationship, which will affect your career development. If you intend to change a job, you will see many setbacks under the influence of Tai Sui. So think rationally and find a new job before resign to avoid falling between two stools. Be prudent when it comes to cooperation. To improve your career fortune and work smoothly in 2019, you are suggested to wear a Lapis Lazuli bracelet with Pig sign pendant.